I felt like doing something different with my eye make-up yesterday and came up with this combination. 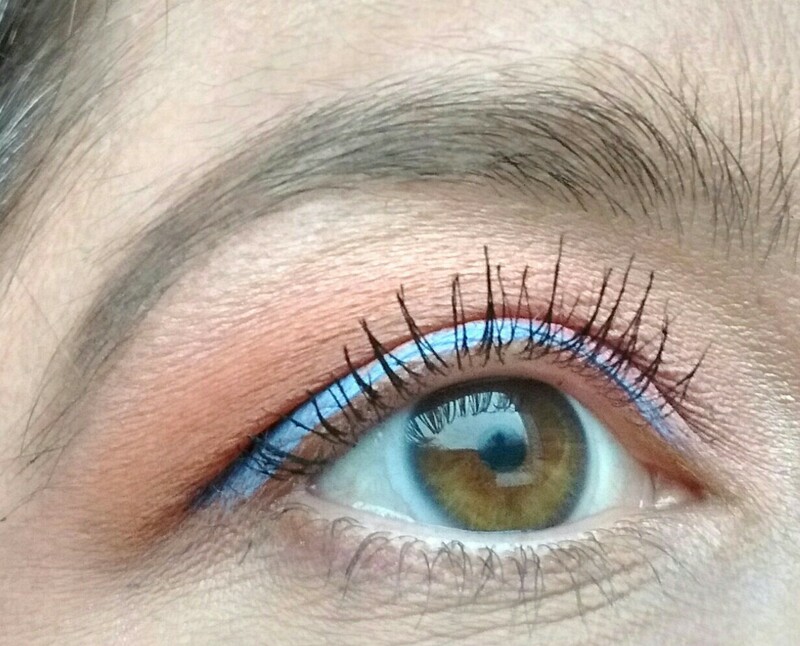 I added in a slick of pale blue liquid liner along the upper lashline to add an unexpected flash of colour to a peachy-pink, orange and brown eyeshadow look. Tip: If the blue liner is too much for you, you can just leave it out and stick with the eyeshadow look. 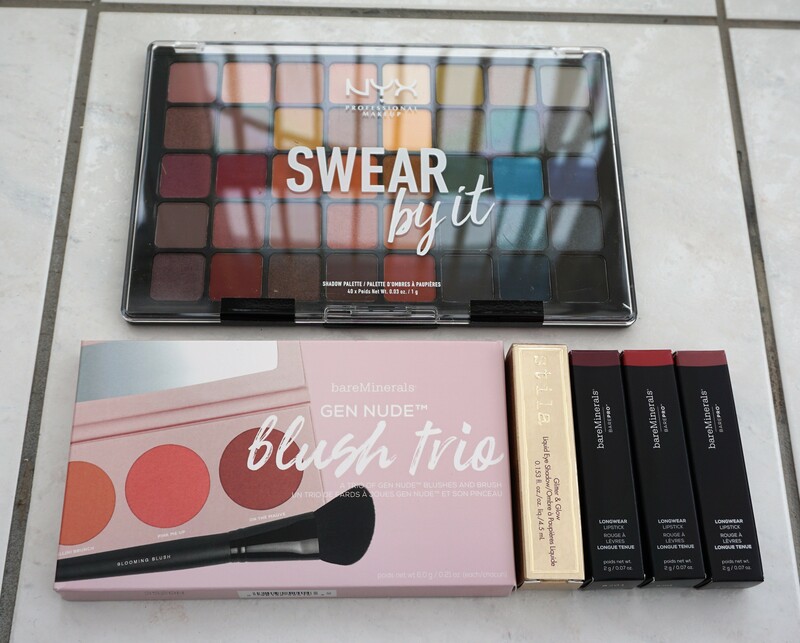 I really liked how the eyeshadow combination looked on its own as well.